Whether people play, or just watch, sports are a big part of many people’s lives. Besides just being entertainment, sports are also tied to many countries’ national identity, and are a billion dollar industry. Have you ever wondered how these sports got their start? Even if you think you know, what’s interesting is that the origins of sports are filled with myths and legends. These are the real stories about how these beloved games were invented. Lacrosse is North America’s oldest team sport and originated with the Eastern Woodlands Native Americans and some Plains Indians tribes. The game was played by warriors of the tribe to keep them fit and strong. Many of the rules were different from modern day lacrosse. Notably, the field of play could be 0.6 miles long. Besides just ensuring that the warriors stay in shape, the game was also important to their society. It helped strengthen diplomatic alliances, supported social conformity, and they used it to honor the gods. In the 1840s, Europeans became interested in the game. The first recorded match between Europeans and members of the Mohawk tribe happened in August 1844. In 1856, the Montreal Lacrosse Club was formed in Quebec, Canada. When the Prince of Wales visited Montreal in August 1860, lacrosse’s popularity grew even more. A month after the Prince’s visit, a dentist named William George Beers wrote the first official rules and instructions for the game and replaced the deerskin ball with a rubber version. Since then, the game has grown in popularity and there are currently two professional lacrosse leagues operating in North America. 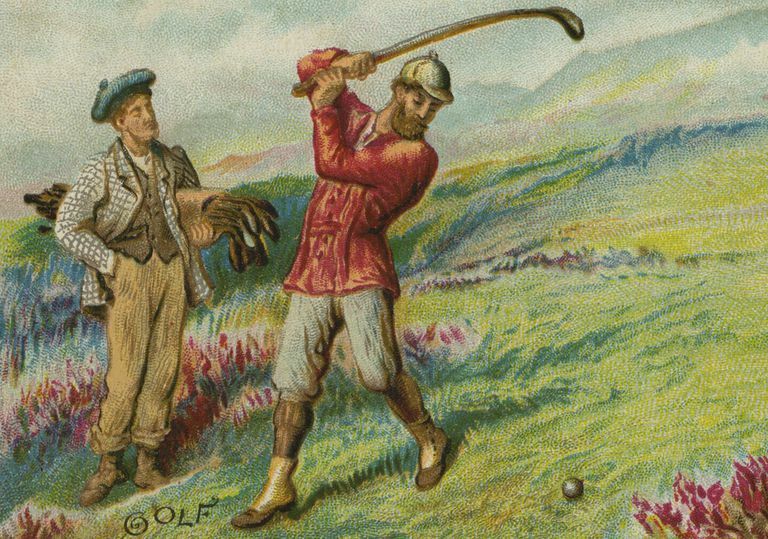 The origins of golf are highly debated. The Scots take total credit for it, and they are kind of right. The modern foundation of the game started in the mid-15th century in Scotland. Those rules included swinging a club at a ball and moving it from point A to point B using the least amount of strokes possible. However, there is evidence that the roots of the game sprouted in the small town of Loenen aan de Vecht in the Netherlands when it was played there in 1297. That year was the start of an annual tradition, where, on Boxing Day, the townspeople played a game named “colf.” The game consisted of two teams of four players who took turns hitting a wooden ball with a wooden stick towards several consecutive targets. Besides the mention of colf in 1297, there is other evidence of golf-like games being played throughout the Netherlands centuries before the game of golf first appeared in Scottish literature in 1636. However, as we mentioned, this is highly debatable and many Scottish people don’t believe it to be true. Canadians are generally considered polite and modest people. However, one thing that many Canadians are gleefully boastful about is their ice hockey heritage. According to them, it’s their game. They are the best at it, and they invented it. However, according to a book that was published in 2014, hockey was probably invented in England. There are references to the game all the way back to as early the 1790s, and beyond that, it is unclear who created the game. What is known is that the game was popular in England for centuries. 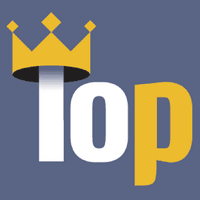 Notable people who played included King Edward VII and Charles Darwin. As for why it’s called hockey, the theory is that in the early games, a cork bung was used as a puck. Bungs were most commonly used as a stopper in beer casks and a popular drink at the time was hock ale. Why Canada is often associated with hockey is that the first organized public game was played in Montreal on March 3, 1875. Before that, games were just played casually. About 40 people attended the the first game, which is a few more than the Arizona Coyotes get now. Rugby supposedly got its start in 1876 when 16-year-old William Webb Ellis was playing soccer at the Rugby School in Warwickshire, England, and he picked up the ball and ran with it. Unfortunately, the story can’t be true because Ellis died in 1872, four years before he was credited with inventing rugby. The real story is that the game did grow out of the Rugby School and it was promoted by the school’s headmaster Thomas Arnold. The rules were first written in 1845 and it’s believed that the game grew out of soccer, but it’s unclear who was the first person to pick up the ball and run with it. After boys attended the school and learned the game, they wanted to continue to play as adults. This is how the first intercounty games were organized, leading to the first clubs, which resulted in the formation of the International Rugby Football Board in 1884. To many people in North America, cricket is a bit of a mystery and seems quite complicated. However, it’s beloved in many other countries around the world and watched by billions of people. In fact, it is the second most popular sport in the world. Cricket is believed to have gotten its start in the 13th century in rural England, where it was played by shepherds. The wicket gate of the sheep paddock was used as a target and then a ball of rags or wool was pitched at the target. An opposing player would use a shepherd’s crooked staff to prevent the ball from hitting the target. The game was popular regionally and continued to be played throughout the centuries. The first recorded 11-to-a-side match was played in 1697 in Sussex for a prize of 50 guineas. Eight years later, the first intercounty match happened between Kent and Surrey. Rules were probably already established at this point, but the oldest known written rules for the game are dated 1744. It’s believed that the ancient Egyptians, Greeks, and Romans all played some form of tennis. However, the linage of modern tennis starts around 1000 A.D. when it was played by French monks in a monastery. They would play with their hands and a wooded ball, so it was more like volleyball. The net was usually just a rope that stretched across a courtyard. This is also where tennis got its name. While playing, the monks would yell ‘tenez’, which is French for ‘to take’, while they served the ball. Over the next two centuries, the game gained popularity throughout Europe and by the 13th century there were 1,800 indoor courts. By 1500, wooden frame racquets that were laced with sheep guts became common, as did balls made from cork. Games took place in narrow, indoor courts, where the ball was played off walls with roved galleries and a number of openings. Players won points by hitting the ball into netted windows beneath the roves, with the net being five feet high on the ends and three feet in the middle, which created a pronounced droop. Modern tennis didn’t really start to emerge until 1873 when the rules were first published. In 1877, the first tennis tournament was held at Wimbledon, where they decided on the court shape and size and adopted tennis’ method of scoring. We bet it wasn’t really a surprise that Canadians claimed to be the inventors of hockey. However, did you know that a Canadian actually invented one of America’s most beloved sports, basketball? Dr. James Naismith of Almonte, Ontario was born in 1861, and after years of working as a lumberjack, he got his degree in physical education from McGill University in Montreal. After graduating, he moved to the United States, where he got a job at the International YMCA Training School in Springfield, Massachusetts. There, he was tasked with finding a suitable activity for a group of “incorrigibles.” The winters were cold in New England and the boys had to stay inside and quickly became bored with all the indoor games of the day. 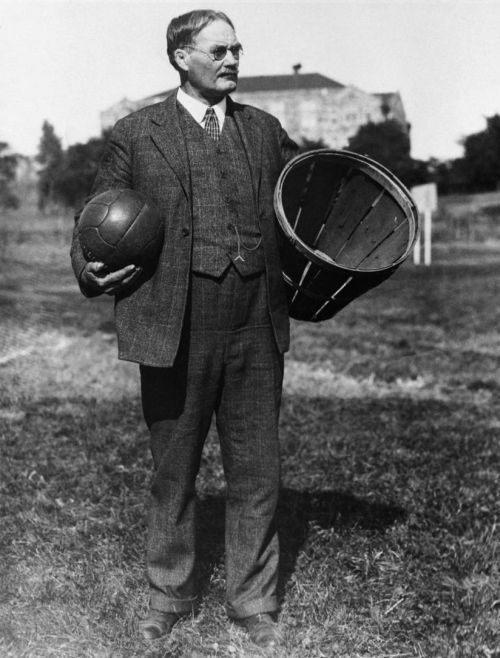 Naismith developed basketball based on a game he played as a child called Duck on a Rock. Naismith had the school’s janitor hang up two peach baskets high up at each end of the gym and a soccer ball was used. The first game was played on December 21, 1891, and the final score was 1-0. So, both teams were slightly better than the Philadelphia 76ers. Eventually, the peach baskets had holes cut in the bottom because the janitor got sick of climbing up a ladder to retrieve the ball. From there the game grew in popularity and Naismith was alive to see it adopted into the Olympics in 1936 in Berlin. Naismith, who was the first coach of the Kansas Jayhawks basketball team, also saw the birth of NCAA Men’s Division I Basketball Championship. He passed away on November 28, 1939. The most common legend of the start of baseball is it was invented in Cooperstown, New York, during the summer of 1839 by Abner Doubleday. After inventing the game, Doubleday went on to become a hero in the American Civil War. The only problem is that none of that is true. In 1839, Doubleday would have still been at West Point. Baseball probably descended from two games from England. The first is a game called rounders that was a children’s game that came to New England with the colonists, and the second is cricket. The foundation of modern baseball started in 1845 when a group of men in New York formed the New York Knickerbocker Baseball Club. The most influential member of the club was a bank clerk named Alexander Joy Cartwright who came up with many of the rules that are the foundation of baseball. This included a diamond shaped infield, foul lines, and the three strike rule. Another rule that he removed, which certainly would make baseball a lot more exciting today, is that he got rid of the rule that players were allowed to throw the ball at a runner to get them out. 1895 football game between Auburn and Georgia. The first game that would eventually become American Football, or gridiron football, happened on November 6, 1869, between players from Princeton and Rutgers. However, that was more of a soccer game. After that game, Yale developed their own sport that was called “The Boston Game.” It was like soccer, but if a player was being pursued by an opponent, he could pick up the oval ball and run with it, or throw or pass it. If he wasn’t being pursued, he had to kick it with his feet. Then on May 14 and 15, 1874, Yale hosted McGill University from Montreal and they also had their own set of rules for football. On the first day, they played the Boston Game. On the second day, they played McGill’s version of football, which had more of a rugby element to it. It had 11 men per side, used an oval ball, and a player could pick it up and run with it at any time. After the games, the Yale team decided they liked McGill’s version better and adopted it. Yes, you read that right. The foundation for American football was developed by a Canadian university. Soccer is the most popular sport in the world today, and it could be because it’s an innate part of the human experience. Games similar to soccer can be dated all the way back to 2,500 B.C. in Ancient Egypt, where people kicked a ball around during the feast of the fertility. In China, from 476 B.C. to 221 B.C., people played a sport called cuju, which roughly translates to “kick the ball with foot.” The point of the game was to kick a leather ball stuffed with feathers through a cloth hung between two posts. They could use any part of their body, except for their hands. Soldiers used to play it in order to keep in shape. A similar game was played in Ancient Rome as well. There were 27 players on each team and they only had to get the ball in the other team’s goal. Because this was Ancient Rome, people were injured and killed while playing it, which sounds way more exciting than watching modern soccer. Games similar to soccer continued to be played all the way through the middle ages and the contemporary age of soccer started in 1863. That’s when rugby football and soccer splintered off and the Football Association in England was formed. This governing body gave more rules and regulations, giving birth to modern day soccer. Kabbadi is the oldest among all..!